There's a simple, straightforward way to cut carbon emissions and prevent the most disastrous effects of climate change-and we're rejecting it because of irrational political fears. That's the central argument of The Case for a Carbon Tax, a clear-eyed, sophisticated analysis of climate change policy. 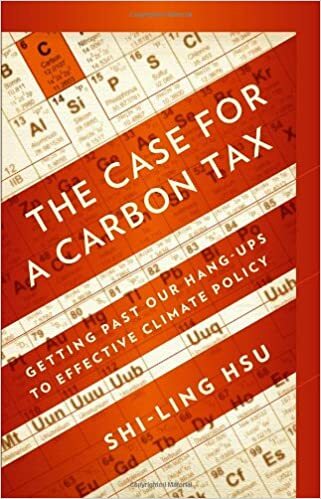 Shi-Ling Hsu examines the four major approaches to curbing CO2: cap-and-trade; command and control regulation; government subsidies of alternative energy; and carbon taxes. Weighing the economic, social, administrative, and political merits of each, he demonstrates why a tax is currently the most effective policy. Hsu does not claim that a tax is the perfect or only solution-but that unlike the alternatives, it can be implemented immediately and paired effectively with other approaches. In fact, the only real barrier is psychological. While politicians can present subsidies and cap-and-trade as "win-win" solutions, the costs of a tax are immediately apparent. Hsu deftly explores the social and political factors that prevent us from embracing this commonsense approach. And he shows why we must get past our hang-ups if we are to avert a global crisis.